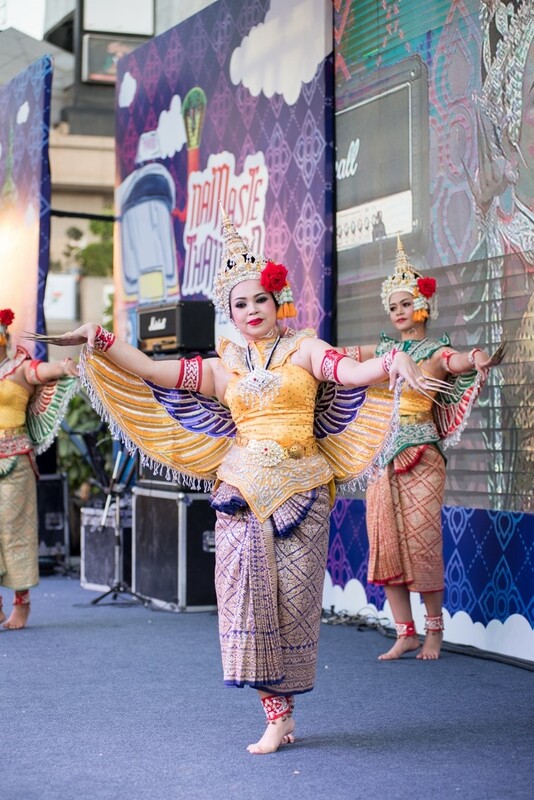 The Namaste Thailand Festival 2018, from 9-11 March, organised by the Royal Thai Embassy, New Delhi, at Select Citywalk, successfully came to an end after three days of exciting and fun-filled shows. One of the main attractions of the festival was the workshop area where several activities took place. It included fruit and vegetable carving demonstration. The carving displayed neatness, precision and personal ability of the Thai artists. Thai artists and their mulberry paper (sa) fans and umbrellas came all the way from Chiang Mai, Thailand, for a special workshop at the Festival. Many participants have tried their hands with the painting, while others asked the artists to paint their fans, umbrella, or even painted temporary tattoos on their arms. Guests were also invited to make Namaste Thailand Festival button badge at the activity area. For those requiring to release tensions in the arm and neck, a relaxing free Thai shoulder massage were given for free, with the courtesy of the Tourism Authority of Thailand. 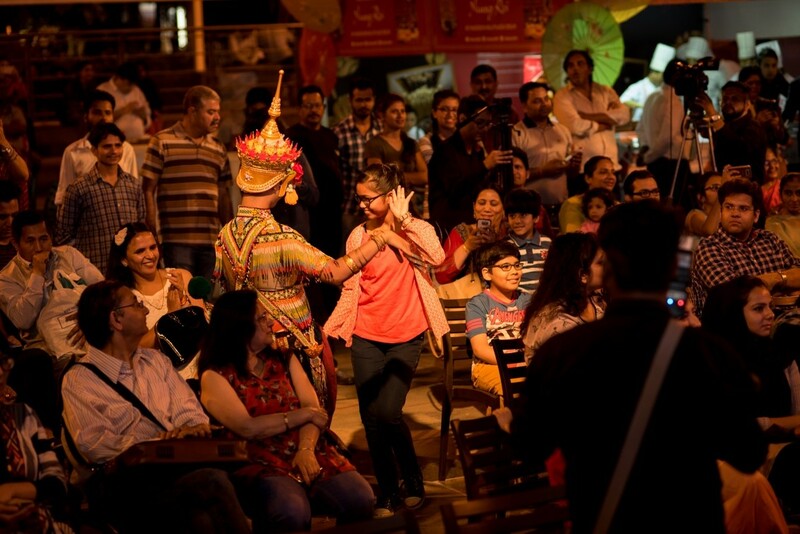 At the information booth, people stood in bee-line to post a photo with hashtag #NamasteThailandFestival to their Facebook, Instagram or Twitter to win amazing prizes in the Festival’s lucky draw. Visitors during the three days event indulged in exquisite Thai cuisine prepared by the Nueng Roi restaurant of Radisson Blu and Thai High. This year, wide-ranging eighteen stalls showcased art and handicraft, ceramic, clothing line including silk and cotton, paper flowers, food items, and jewellery from Thailand. The Wood’s Tale exhibited products made by100% natural wood, like Rubber and Acacia wood from sustainable source. Charm-Learn Studio (CLS) is the brainchild of three Silapokorn graduates, who all previously worked in the media. CLS was awarded the Prime Minister’s Export Award 2017 in the product category of Best Design for Art and Craft. The stall charmed the visitors with their products including ceramic tiffin, ceramic mugs, handmade earrings and keychains, besides others. Senexi, with a broad range of 925 Rhodium Platted Silver jewelry, exhibited rings, bangle, necklace, brooch, and pendant. Blue Elephant displayed variety of Thai snacks and Thai sauces during the festival. MakeMeFromPaper, fascinated the shoppers with their interesting collection of flower balls, mini roses, cards, varieties of home decorative items, paper bags, all made from mulberry paper. Thongyoy exhibited her own fashionable women’s clothing line. Itthikorn, the owner of the Fashion Scene Co. Ltd, also the esteem member and fashion ambassador of the ASEAN Fashion Designer Showcase representing Thailand, exhibited his own unisex designs in the stall Itthikorn. Leelafai, exhibited garments that were made from naturally dyed mud cotton, from the east coast of the Gulf of Thailand, Rayong. The fabric is dyed to different colors by using tree barks, leaves, roots or flowers. Buddy Handicraft, Thai DD, Heritage Art, Dr. Nature Art, Patthai Ceramic, Anong Thai Silk displayed remarkable crafts. Products were also displayed by P.O. Care, Srithai Superware, Unicon. On the main stage, Quiz Thailand was an interesting event that saw the eager participation of people. Attractive prizes were given to the winners. 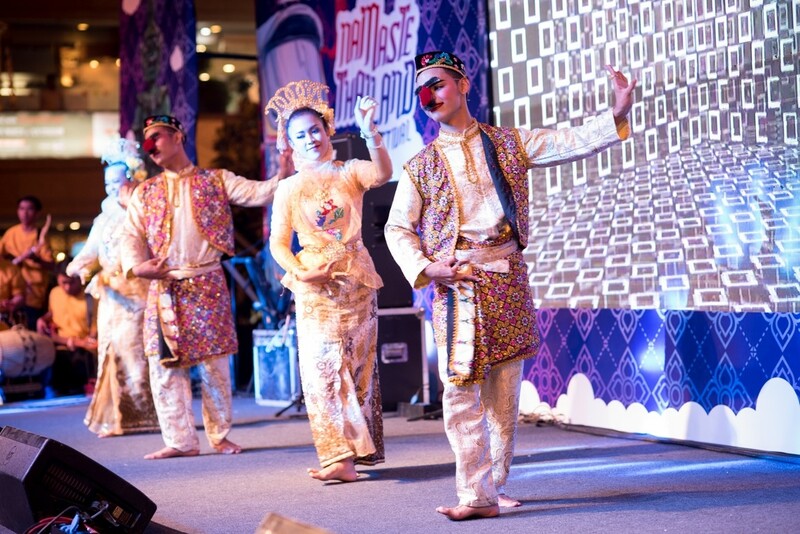 The cultural troupe from the Nakhon Si Thammarat College of Dramatic Arts, under Bunditpatanasilpa Institute, Ministry of Culture, won the heart of the participants by their Thai cultural shows representing the uniqueness of Thai dance performance form the north to the south. What better way to remember Namaste Thailand Festival 2018 than to witness H.E. Mr. Chutintorn Gongsakdi and M.L. 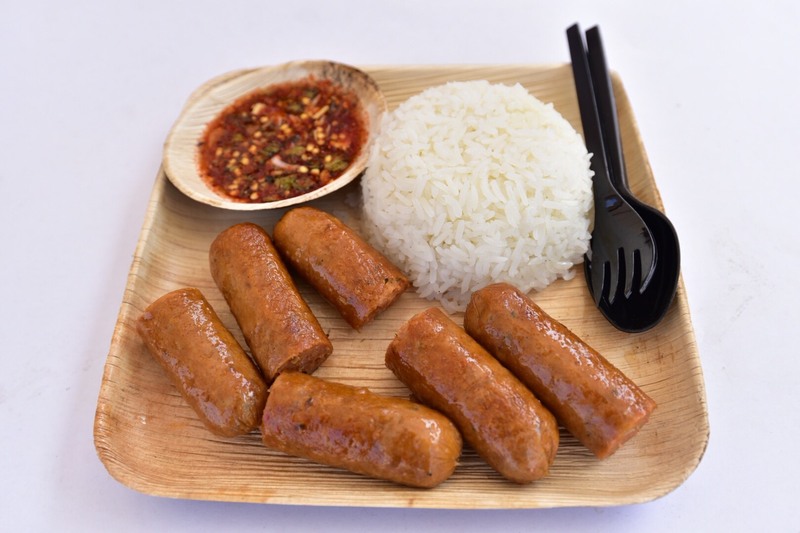 Piyawan Gongsakdi, along with their chef, Ms. Nutjarin Plasri, demonstrate Thai cooking. 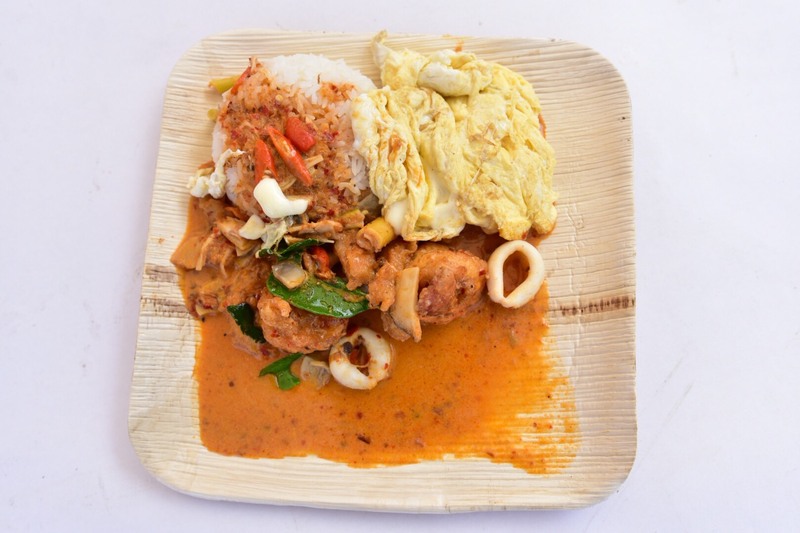 They showed the audience how to make Pad Thai (Thai style stir fried noodles), Tom Yum Kung (Thai hot and sour soup), Som Tum (Thai Papaya Salad), and Kaeng Kiew Wan (Green Curry). The audience were also offer samples of the dishes made by the Ambassador after the demonstration. H.E. Dato Hidayat Abdul Hamid, Malaysian High Commissioner, and his spouse in Namaste Thailand Festival, testing Thai green curry with rice cooked by Ambassador Gongsakdi. 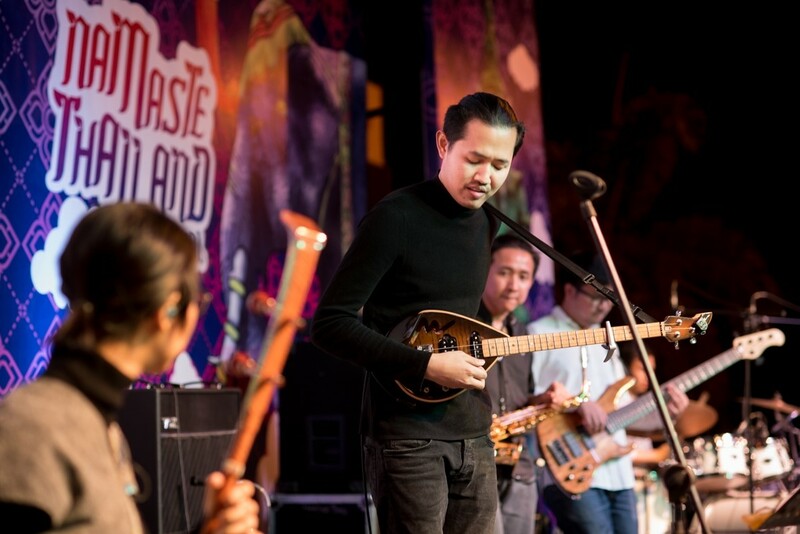 Asia 7, a group of 8 musicians, who are all alumni of College of Music, Mahidol University, spoiled the audience with their fusion Thai folk – western jazz concerts on all 3 days of the Festival and won the hearts of the people in Delhi. 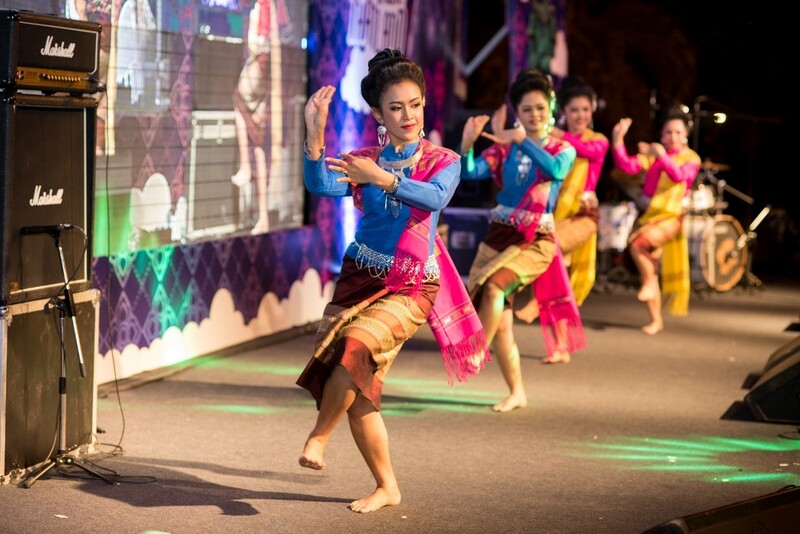 As they belted out their original songs and their renditions of famous Thai and International songs, they set every feet on the ground to dancing!